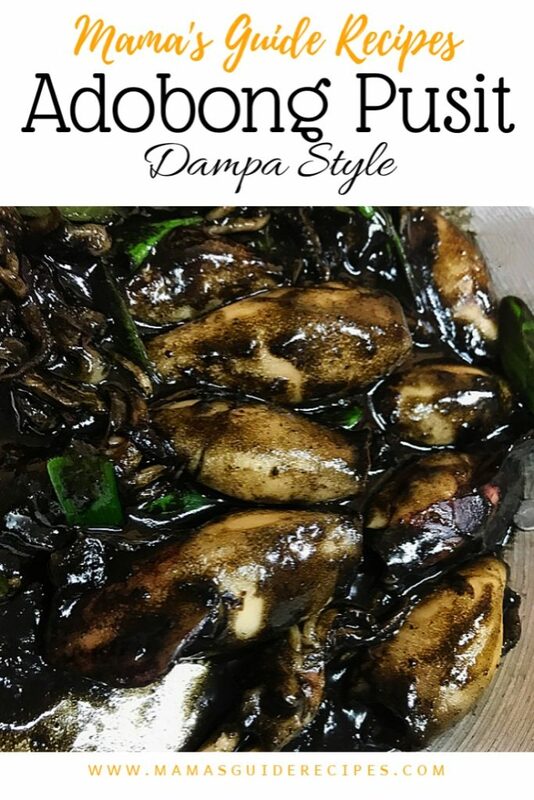 This Adobong Pusit Dampa Style recipe is super duper delicious! It’s the secret recipe of Dampa restaurants. Simple and quick to cook. It will tell you how to achieve a super tender pusit with a very thick black sauce. Happy cooking! Clean the squid under running water then drain. Remove the “plastic-like filament” inside each body by pushing it out like a toothpaste. Also, remove the sharp teeth in their mouth right in the middle of the tentacles. In a pan or wok, heat oil to saute garlic, onions, luya and siling haba. Let it cook until fragrant. Add pusit, vinegar and soy sauce. 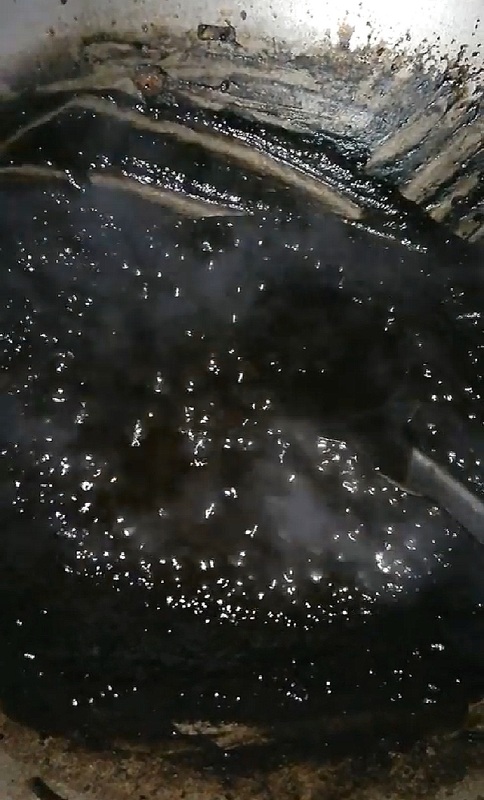 Do not stir and bring it to a boil. Do not cover pan and remove pusit immediately once it boils. Set it aside in a platter for the meantime. Once the sauce is thick, add back the pusit and quickly mix it well to combine with the sauce. Turn off heat immediately. Garnish with chopped green onions. Share and enjoy! Your squid are absolutely tender and so delicious just like the Dampa Adobong Pusit! Added with green onions garnish, the smell is so divine. Its better than dahon ng laurel. Note: it only takes about 2-3 minutes for squids to cook. So make sure that you don’t overcook your pusit (squid) or it will turn like hard rubber when overcooked.